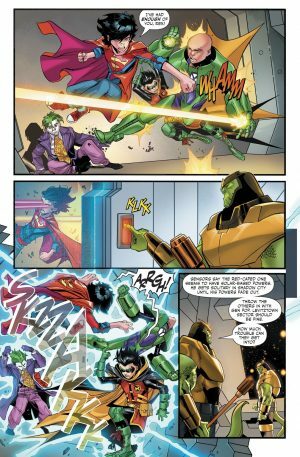 The book opens with Tommy Tomorrow dropping of the Super Sons in some kind of jail. 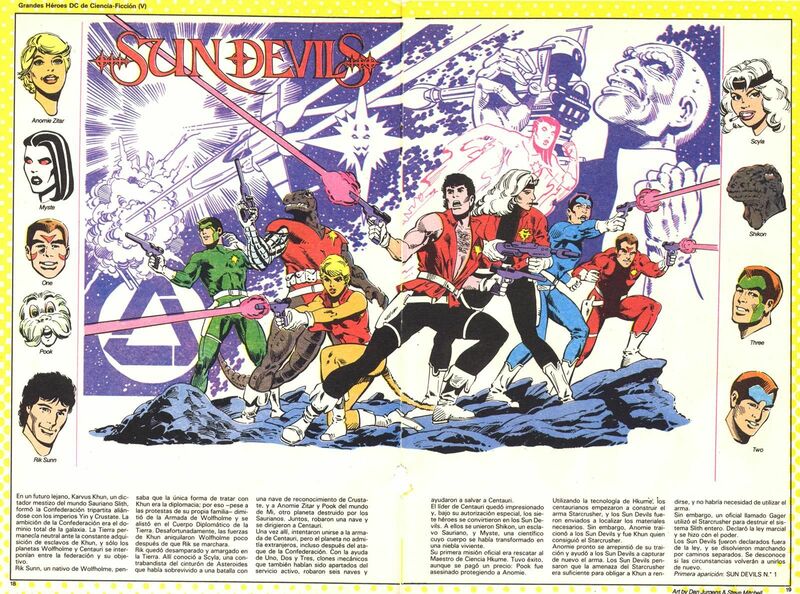 He’s a classic character are the Sun Devils he names drops; here’s their classic Who’s Who entry. 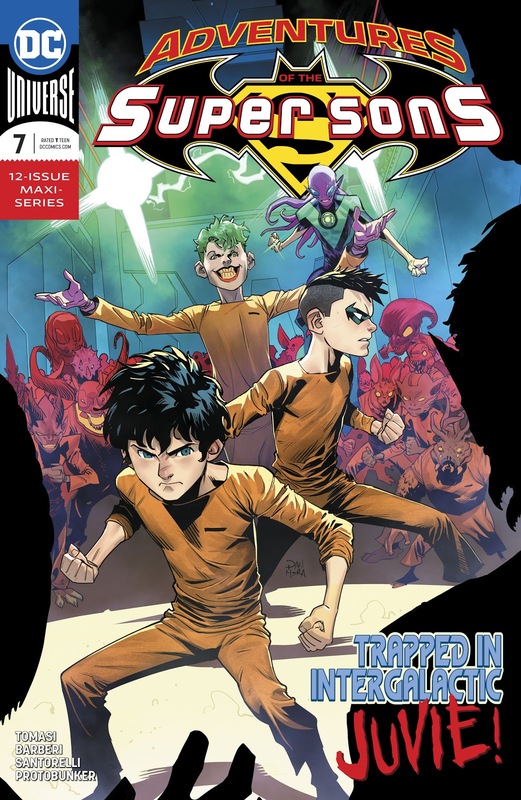 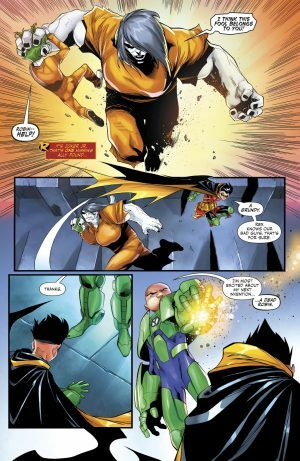 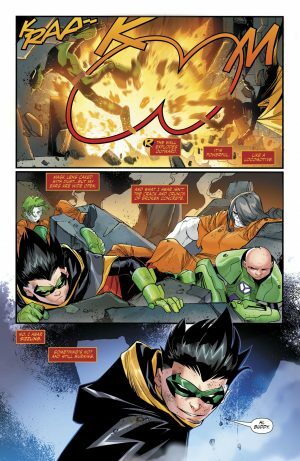 Damian Robin and the other Aliens masquerading as a kid Legion of Doom called the Gang get thrown into general population, but Jon Kent Superboy is kept locked up as he gets his powers from solar energy. 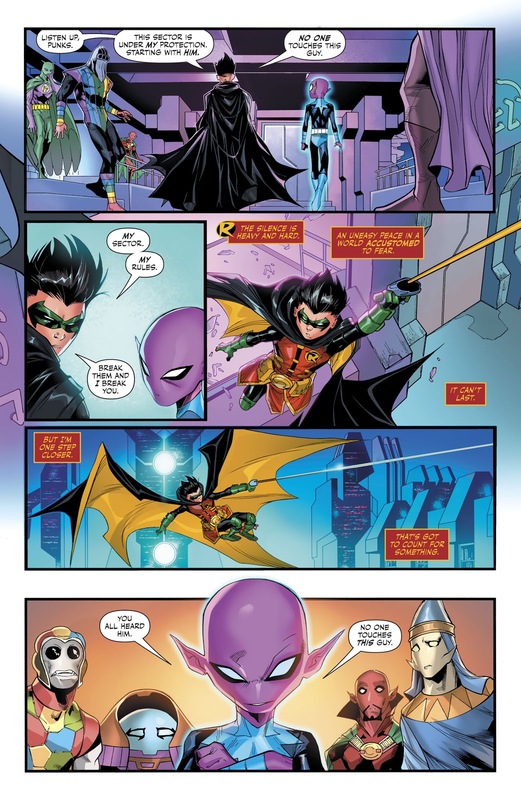 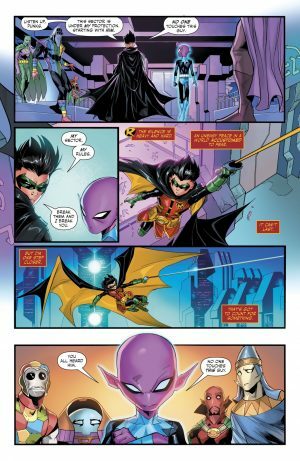 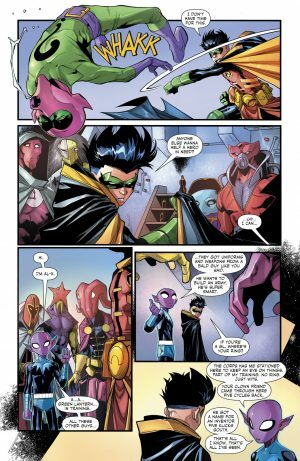 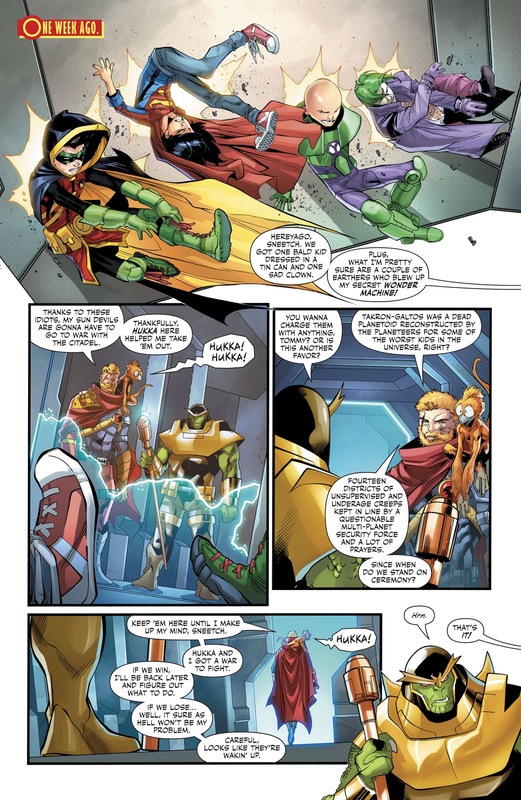 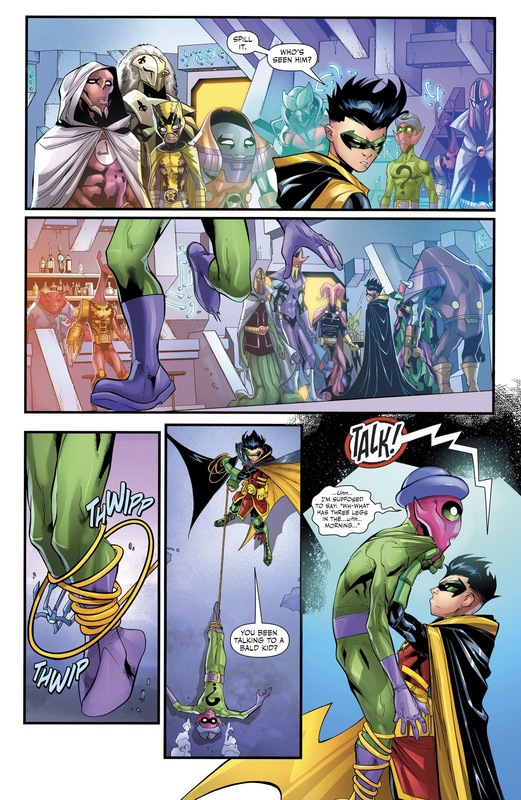 In general population, Damian Wayne find other aliens dressed as Earth villains. 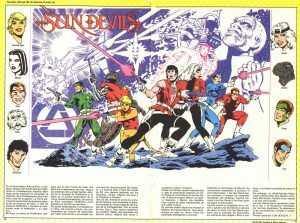 Can you name them all? 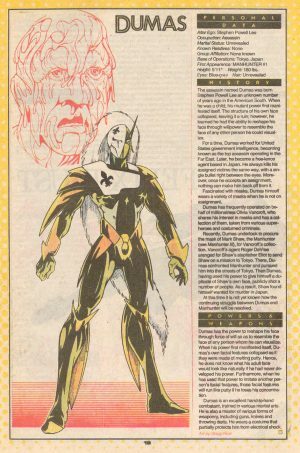 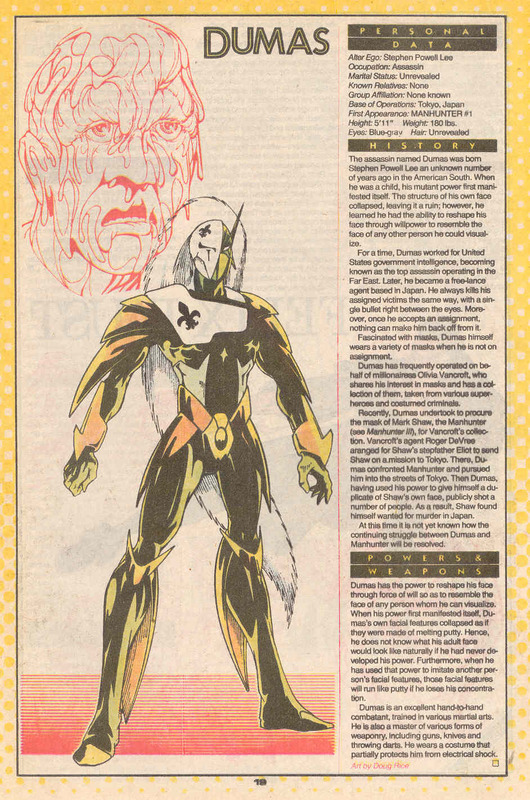 It was cool seeing Dumas, in a fashion, since I am a fan of the classic Manhunter and Suicide Squad series. …to no real avail; but he finds an alien who is masquerading as Sinestro to ally with. Similar to the kid Joker alien who is actually good compared to Rex Luthor and the others of the Gang. 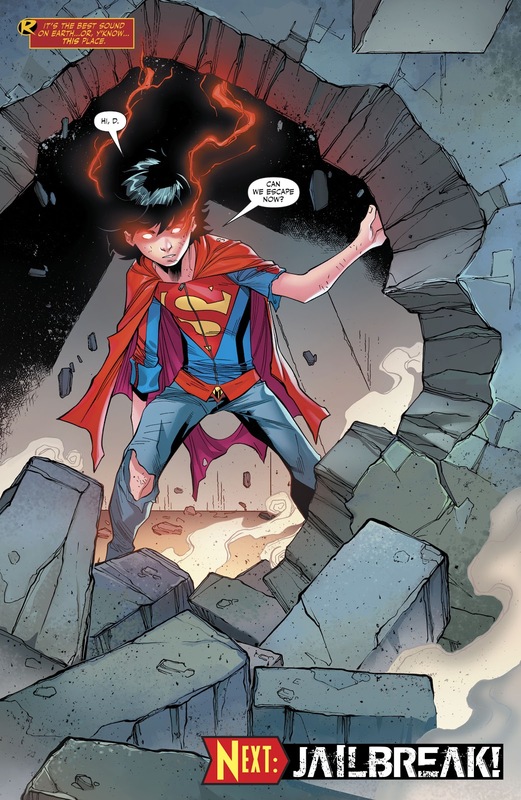 …Jon Kent Superboy finally breaks free!